Seton Health Alliance is built around a fundamentally different relationship between care providers, patients and insurers called a clinically integrated network. We provide a system of value-based care, which means we are scored on how well we do at keeping patients healthy, not on how many tests and medical appointments we schedule. For patients, this means the right care at the right time at reasonable cost. For care providers this means bigger payments for care that improves patient health, such as necessary care and preventative actions, and smaller payments for care that does not improve patient health, such as unneeded tests or avoidable readmissions to hospitals. For insurers, lower costs and better care mean insurance products that both providers and patients want. For us at Seton Health Alliance, this means freeing doctors from paperwork and bureaucracy to do what they do best, taking care of patients. To do this, we’ve built an alliance of local physicians, nurses, mental health professionals, social workers, surgeons, ER doctors, physical therapists and many other clinical professionals who are connected by cutting-edge technology, organized around the patient’s need and graded on how healthy their patients are. These professionals work together to provide the exceptional care you’d expect from Ascension Seton, all the while sharing the same test results, seeing the same patient history, receiving instant updates on care, and having the same goal – putting the patient at the center. Finally, at no cost to patients or insurers, our care coordination team puts a friendly, human face on healthcare by working one-on-one with patients to help them solve problems, learn about their personal health concerns, and coordinate all their medical services. 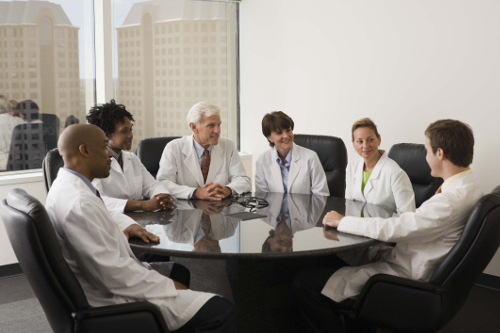 By transforming diverse medical teams into a connected alliance of professionals dedicated to keeping patients healthy, healthcare costs naturally drop. This is due in part to less waste because of needlessly repeated or unneeded tests, but it is also due to the fact that our team is devoted to patient wellness – not patient tests and appointments. Instead of only connecting with a patient when there are health problems, we work with patients to keep them out of doctors’ offices and hospitals by heading off problems before it’s necessary to see a doctor. Finding good healthcare shouldn’t feel like a scavenger hunt. See how our Care Coordination team helps patients reach the ultimate goal of good health.